Take complete control of your home 24 hours a day, any where around the globe. 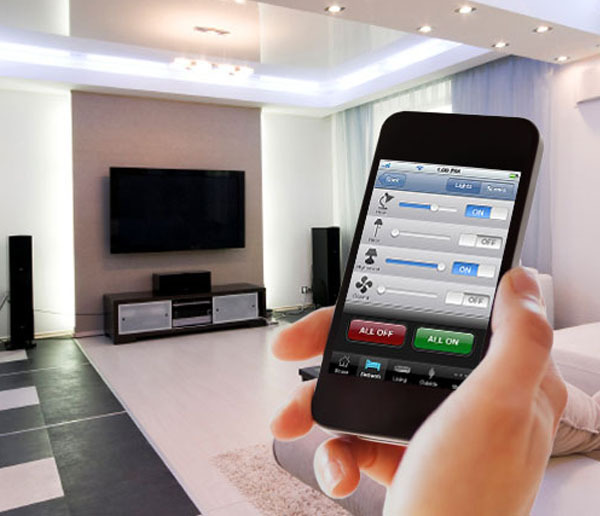 Adjust your lighting, security system, even your thermostat from your mobile device. Vacation coming to an end? Turn your air conditioner on before getting on the plane and your house will be well lit and nice and cool when you walk through the door. Monitor your security system and view your security cameras right from your smart phone. The kids will think twice before throwing that party when you are away on business. The options are limitless.